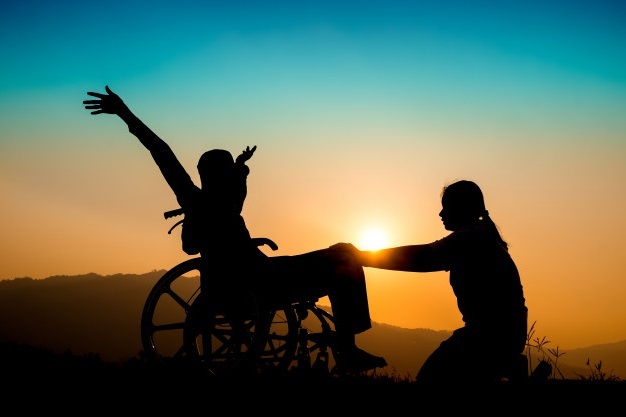 Suburban Access Taxis is honoured to dispatch wheelchair taxis to people with disabilities. Our friendly operators are available to call 24 x 7. Suburban Access Taxis caters for passengers with disabilities – particularly those with mobility aids, such as wheelchairs and scooters. Our vehicles are fitted with hydraulic lifts enabling passengers in wheelchairs and scooters to be loaded directly in to the taxi where they are secured and transported to their destination. The drivers of these taxis undergo additional training to increase their understanding, knowledge and skills required to effectively cater for passengers with disabilities. Suburban Taxis can offer you a range of wheelchair taxis to satisfy your personal requirements. It is a requirement to provide us the wheelchair size to ensure the appropriate vehicle is sent to accommodate your wheelchair. Why is it important for us to know the size of the wheelchair? To ensure the appropriate vehicle is dispatched to accommodate the wheelchair for a safe and comfortable ride. Why do we ask if SA Transport Subsidy Schemes vouchers are being used? The SA Government now pays the driver a lifting fee, this fee ensures drivers are paid for their time to load and unload passengers. Why do we ask for a contact number? On rare occasions we may need to confirm details or provide a dispatch updates. Please note we only do this when necessary. Why do we prefer bookings to be made in advance? This ensures we dispatch the taxi with enough time in peak traffic times or when taxis are in high demand. Why is it important for us to have destination details? Destination details ensure there is no confusion for picking up the correct passenger from centres or locations that may have a number of wheelchair bookings. It also ensures the passenger doesn’t need to worry about providing any details if they are not feeling up to it. Do you have a different query? We would love to assist you with your enquiries. Please fill up a contact form below with your query and we’ll get back to you ASAP or give us a ring on 1300 360 940 anytime. Copyright ©2019 Suburban Access Taxis | Adelaide 1300 360 940 | Wheelchair Accessible Taxi.